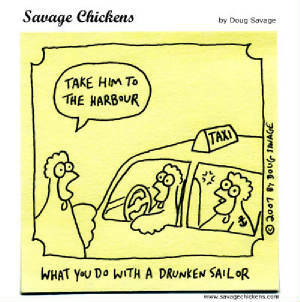 So what do you do with a drunken sailor? What do you sing when stumbling back to the ship? What can you belt out in the middle of a bar to get all the chicks? We have no idea, but here're some sea shanties. Enjoy.